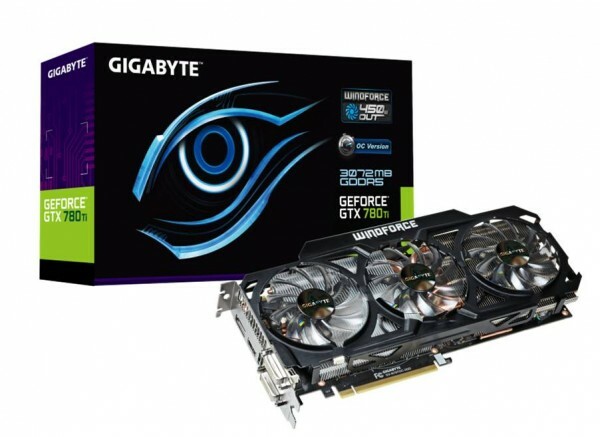 Taipei, Taiwan, 7th November 2013 – GIGABYTE, the world leader in high-performance gaming hardware and system, is pleased to announce the latest graphics card, GeForce GTX 780 Ti Overclock Edition (GV-N78TOC-3GD). With 25% plus CUDA cores than GTX 780, the most powerful thermal design in the world and exciting new technologies, GV-N78TOC-3GD is going to bring all the gamers an extremely gaming experience to a whole new level. The exclusive WINDFORCE 3X cooling design guarantees you to dissipate 450 watt heat out. Enjoy your game play with a stunningly beautiful and quiet design is no longer a dream. It also supports OC GURU II and GPU Boost 2.0 for maximum clock speeds. GV-N78TOC-3GD features PhysX® and TXAA™ technologies for smooth, sharp graphics, and GeForce ShadowPlay™ to capture all your greatest gaming moments automatically. Whether you play on 4K monitors at extreme settings, GV-N78TOC-3GD can provide the horsepower to drive all your next-gen gaming visual experiences. For more details about GIGABYTE GV-N78TOC-3GD, visit GIGABYTE official website. 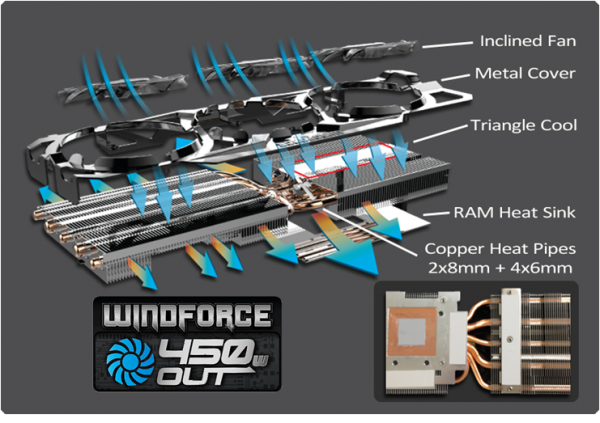 For more information about “WINDFORCE 450Watt Cooling Design”, please visit our microsite.